Egg stuffing, pizza, games & fun! All are welcome for CCC’s The Easter Egg Hunt & Carnival! Egg Hunts, games, bounce house and fun for the entire family! Suggested donation is $5 per person, which helps fund CCC 2019 Mission Trip. Tap here for a flyer to print and give to friends and family. April 21 is the day to celebrate the Resurrection of the Lord! 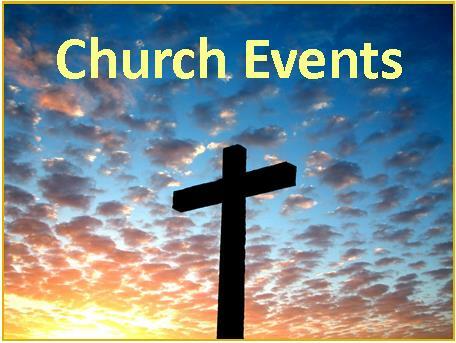 We’ll do so in both the 8:00am and 10:00am services, with an Easter Breakfast in between at 9:00am. We hope you will join us for this pot-luck breakfast in Friendship Hall. This is a nice morning of fellowship with friends and family. Your input with the new visual system (and all else we do) – good, bad, indifferent – is always welcomed. Please let us know how we are doing!! If you want to follow the service from your smartphone, go to: Faithlife.com/CCCLincolnshire Tap read next to the published bulletin for this week. Once the service goes live on Sunday, you should be able to participate in the surveys and trivia games. Thank you for supporting CCC’s Mission Trip by shopping through smile.amazon.com! The 10:00am Worship Service features a children’s sermon followed by Sunday School while the adults continue with the rest of the traditional service. It is held in the Sanctuary. Teresa Elliott will be leading our Adult Sunday School every Sunday in the church office from 9-9:30am. It will be a brief, yet insightful time to grow in our faith together. Everyone is invited to Coffee Talk on the 2nd and 4th Sundays each month to enjoy “Youthful Conversation with the rest of the World!” We will begin with a theme or topic of discussion and see where it leads us! Join us after church on at Café de Oro (2175 Deerfield Rd. at Saunders, next to the Mobil station). Your suggestions for themes and topics are encouraged! Not meeting on Palm Sunday. Plan to join your friends for these Youth Worship Events. This will be a unique service meeting in the Youth Room on the 3rd Sunday each month at 10:00am. Special lesson plans are being made by Justin and you will enjoy some of the usual worship customs like communion, etc. We are VERY excited to offer this alternative worship opportunity for the Youth of CCC and their friends – 7th grade and up. After the services, high school aged youth will meet for Coffee Talk. Serve at a shelter in Wauconda. Shifts available through dinner or overnight for adults. Sign up to bring lunch items needed to pack lunches. Everyone is helpful! We meet every Tuesday at 10:00am for “Sermon in the Round” led by Pastor Bryan. We jump into the scripture and ask questions about the sermon in a group setting. We also spend some time praying for one another and other prayer needs as they arise. One of the best ways to get to know the people in your church is in small groups. This is just one opportunity to grow in relationship as well as in your faith. Hope to see you on Tuesday! What a blessing it is to have a choir sing the praises of God each Sunday! The choir rehearses each Wednesday night and before the 10:00am service during the months of September through May. The CCC men’s group meets monthly on the first Saturday of the month for breakfast, fellowship and discussion. The meetings take place in Friendship Hall from 8:00 to 9:00am and breakfast from McDonald’s will be picked up for those who would like it. Contact the church office if you can attend. Please come join the women of CCC on the 2nd Saturday each month. We meet at Panera Bread on Milwaukee Road in Riverwoods to relax, talk, laugh, and get to know each other a little better. All you have to do is show up. We are usually there until at least 9:30 am. Come when you can and leave when you need to. There is no agenda or schedule. We are a free-flowing group and we’d love to see you there!